I’m very excited to be invited to the 5th International Rosé Symposium / Rencontres Internationales du Rosé. The Symposium is hosted by the Provence Wine Council (CIVP), and the Rosé Research and Experimentation Centre, which takes place in the magnificent setting of the Mucem in Marseille on Tuesday, January 22, 2019. The Symposium, this year, is focusing specifically on research and insights related to rosé wine. 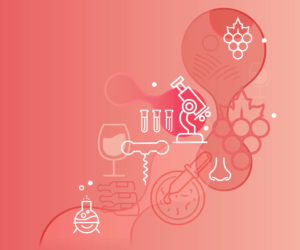 The international speakers are members of the scientific, technical and wine-growing community, and will share their research and studies related to rosé wine. The morning will be held as a plenary session, which will include the three major challenges. The lunch cocktail lunch designed by Gérald Passedat. The afternoon sessions include technical or think-tank workshops, and the presentation of several innovations from fundamental or applied research. Watch for my followup report.